Ahh yes. C2E2! Looking back on it, from a few months down the road, I have to say this is still one of my favorite conventions. Yes, Dragon*Con is glorious and mind blowing, but for us, C2E2 is far more relaxing. It is a great convention. The attendance is growing each year, and there are a more and more cosplays every year, but it is still “small” enough that there is plenty of room for everyone. Much less hustle and bustle compared to many other conventions. And for us, the best part is seeing our friends, or “con family. 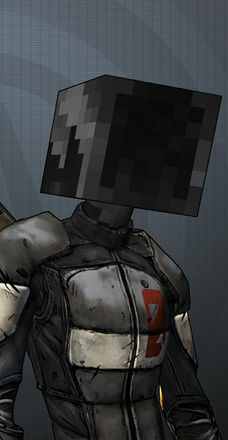 Crunch time for our Borderlands 2 Zer0 cosplay. 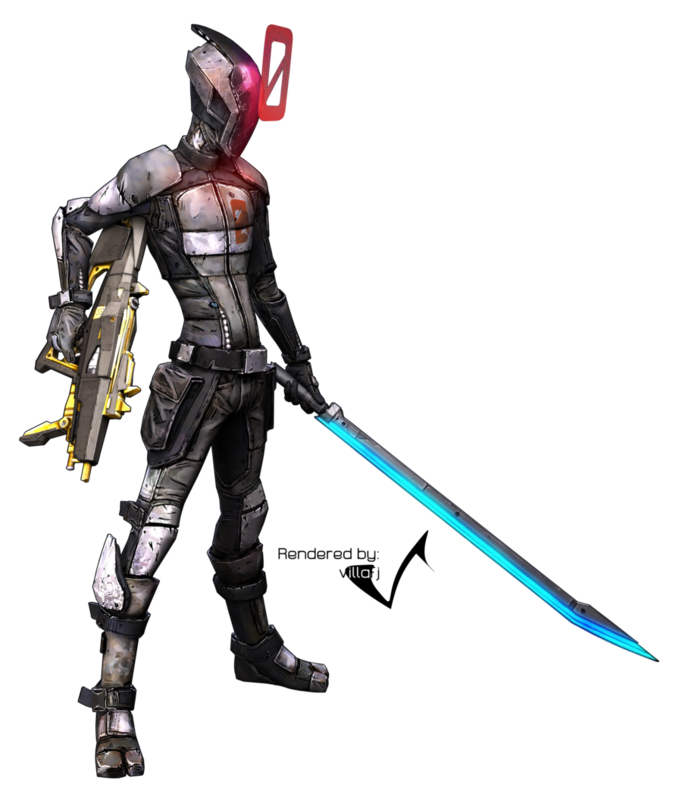 We have 2 weeks until C2E2 and are still working on the Zer0 Cosplay. 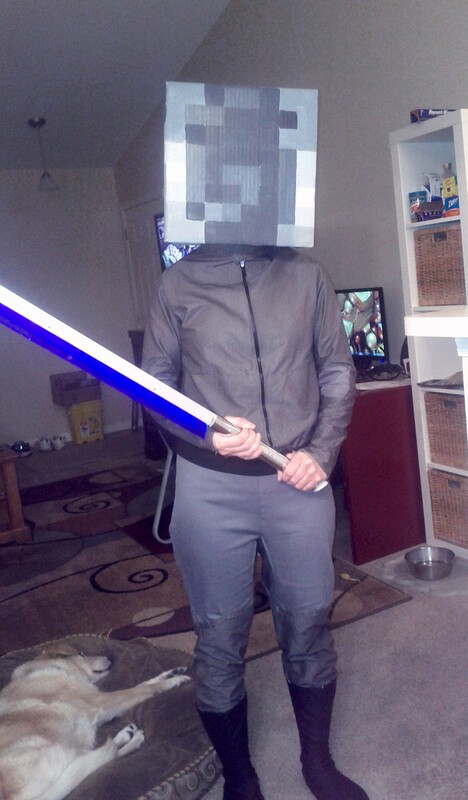 We did not have the time or tools yet to do the helmet properly so we have gone with a Minecraft head. 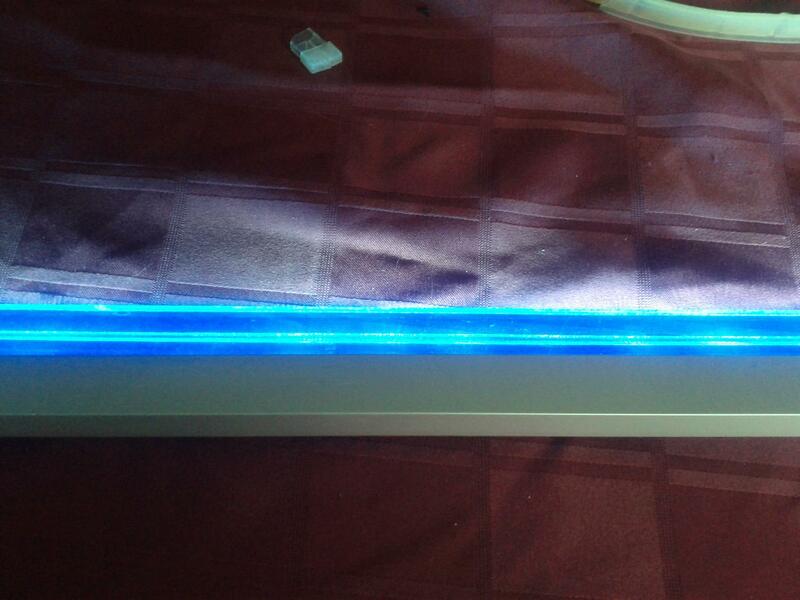 The Zer0 blade is coming along nicely and is ready for paint/cell shading. 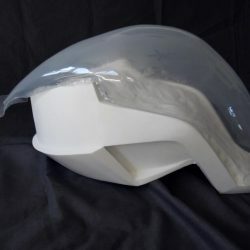 Hopefully we will have the helmet done in time for Dragon*Con in August. We are about to move into a new house and will be using the whole garage as a workshop. Some of our fondest memories and pictures of 2012. What a great year it was! Please enjoy and we will see you in 2013! HAPPY HALLOWEEN!!!! 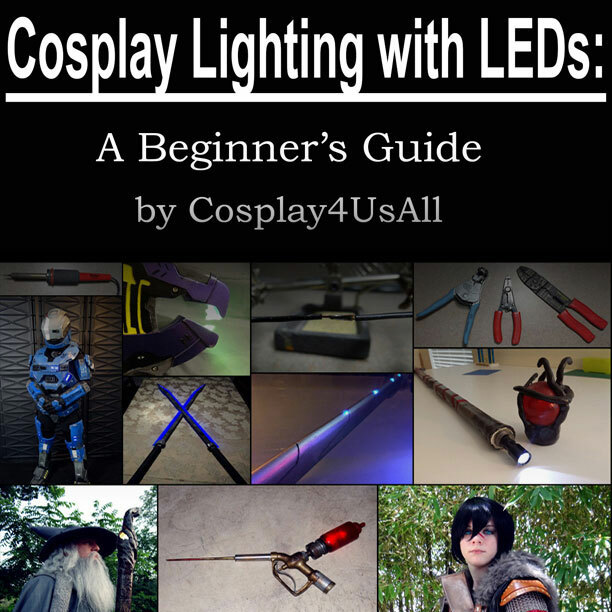 Also known as, COSPLAYER NATIONAL HOLIDAY! Sorry for the lack of posts the past few weeks, real life has been keeping us busy. We have spent quite a bit of time college hunting for Courtney (the artistic brains behind Cosplay4UsAll), we even spent 4 days in the Pittsburgh area of Pennsylvania, checking out Tom Savini’s special effects school (which was very cool but SUPER expensive!). Now we are trying to narrow down whether we stay in Indiana for another 5 years, and she will attend Herron Art School at IUPUI, or head to upstate NY where she will attend one of the art schools there. Decisions, decisions! We have already started gathering resources for our next projects so stay tuned, good stuff is coming! Just a quick update to let our visitors know that we have uploaded a ton of new photos that I only recently noticed were missing from our website….though if you also follow us on our Facebook page you will have seen them already. Up at the top of our banner ^ you will notice the menu bar. Under the “Cosplay Projects” drop down menu we added our work-in-progress shots for our Mass Effect 2 Commander Shepard dress, as well as more photos in the Silent Hill nurse area. Our “Finished Cosplay” section now has some photoshoots of both the nurse and Commander Shepard. Little Sister, Pyramid Head and Chris Redfield have also had more pictures added. In the “Prop Shop” we added Ichigo’s blade and Chris Redfield’s big knife. Coming soon will be many, many more pictures of the Adam Syringe as we are working on a commission for one right now, and this time we remembered to take pictures along the way! Oh, and in case you missed it…..here is our very own “Prop Dad” in his first cosplay. 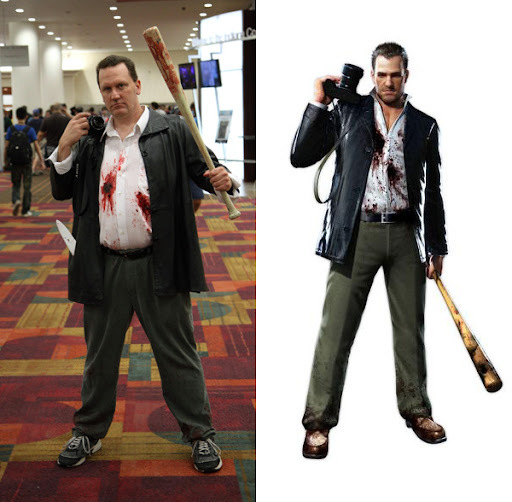 GenCon 2012 saw “dad” making an appearance as Frank West from Dead Rising. Everything on him (except for the camera, which is our legit camera lol) was purchased at various Goodwill stores for a grand total of around $12! Then we went to town with fake blood, etc, and there ya go! Beat Down Boogie has released their newest video covering Dragon*Con!! We are just about caught up on everything after the summer of convention madness. We have a few open spots for commissions, before we start on our next big project! Ssshhh it’s a secret project…..until we figure out all the logistics, but it will be something special! If you are interested in commissioning us, just use the “contact us” link on our website, or send us a message via our Facebook page.